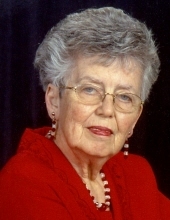 Betsy Harper, 93, passed away on Monday, April 8, 2019. The funeral service will be held on Thursday at 11 AM at the Grifton First Christian Church, followed by a graveside service for the family at St. Barnabas Episcopal Church Cemetery in Snow Hill. Betsy Brown Hodges and Drew S. Harper, Jr., were married on November 23, 1950 in Belk Chapel on the Queens College campus in Charlotte, NC. Betsy, who was born on July 14, 1925 and grew up in Grifton, was the daughter of Gladys Brooks and Marvin Brown Hodges. Betsy won a Beta Club scholarship to attend Queens College in Charlotte where she graduated with a B.S. degree in 1945. She completed a Masters degree in business education and business at East Carolina University and an Ed. Doctorate degree at N.C. State University in 1970. Her teaching experience included positions at Harvey Junior High School, Grainger High School, and Lenoir Community College, in Kinston. At the latter, she served as Business Department and Commercial Division Chairperson. Moving to East Carolina University in 1973, Betsy taught business education and was Director of the ECU Cooperative Education Program, which she began in 1975. She retired from ECU in September, 1990. Betsy was a devoted and loving daughter, wife, mother, and grandmother, and was kind to everyone she ever engaged. She was a devout lifelong member of the Grifton First Christian Church and enjoyed her many years with the Grifton Garden Club. In addition to her parents, Betsy was preceded in death by her husband, Drew S. Harper, Jr.
Betsy passed away peacefully in her home and will be missed by all that knew her. She is survived by her son, Drew S. Harper, III and wife, Cynthia Lee; daughter, Loede Brooks Harper; grandson, Drew S. Harper, IV; and her beloved dog, “Sis”; first cousins, Harvey Clarke Carroll, Jr., of Abilene, KS, John Brooks Carroll of Ottawa, Canada, and great niece, Melika Carroll Journoud of Washington, DC. We all say goodbye to a gentle southern belle. The family would also like to recognize her devoted caregivers, Peggy Simpson, Mandi Lee Raynor, Gladys Foster, and Clara Corey, all of Greenville. They remain our adopted family. In lieu of flowers, please send remembrances to Grifton First Christian Church, PO Box 1119, Grifton, NC 28530; or an animal shelter of one’s choice. To send flowers or a remembrance gift to the family of Betsy Harper, please visit our Tribute Store. "Email Address" would like to share the life celebration of Betsy Harper. Click on the "link" to go to share a favorite memory or leave a condolence message for the family.